Selling your property on the real estate market is neither easy nor instantaneous. Simply snapping a few photos and uploading them to an online real estate portal isn’t going to fill your inbox with offers. You have to make preparations in order to create an appealing property listing that will attract buyers at the price point it deserves. These days, that takes more than just photos. With first impressions often being made through online listings, using a real estate virtual tour has become a must for individuals selling their luxury real estate. Find out how to utilize this tool to turn your “For Sale” sign into “Sold”! Just like an in-person tour, there is quite a bit of prep work that goes into setting up for a real estate virtual tour. From understanding your target buyer to identifying your property’s unique selling features, you’ll want to plan ahead. Use these five helpful tips to turn your three-dimensional tour into a killer marketing tool. When you put together the presentation for your new real estate listing, it’s important to remember that you aren’t selling your home, but rather the buyer’s idea of home. If you currently have bold, bright walls, consider repainting them to a more neutral tone. The key is to allow the buyer to envision themselves living there instead of being distracted by your own style, presence, and taste. You can hire home staging services that provide their own furniture or will rearrange your own in order to create an open, welcoming atmosphere within your home. Keep in mind that when you’re selling luxury real estate, you want the furniture and decor to match that lifestyle. If you have old, worn out recliners or scuffed up end tables, consider having them removed or replaced. Pay attention to the details and create an ambiance with well-placed candles, indoor plants, or other light accents. When you live in the same house day in and day out, it’s easy to overlook the small dings, scuffs, and imperfections that develop over time. However, when you’re putting your home on the market, the last thing you want to do is risk detracting buyers with small, easy-to-fix details. Before you even put your home up for sale, make sure you do a meticulous walkthrough of the interior and exterior of the home. Make any affordable updates, repairs or touch-ups that will make the property look picture perfect. Every detail matters. You’d be surprised how much time buyers will spend scouring every detail within an online listing. Whet their appetite with a perfect presentation. Even in visual tours, paying attention to all of the little details will result in a stunning overall impression. Size alone doesn’t make your luxury real estate property worth a larger price tag. You have to showcase the selling points that demonstrate why it is worth paying more for your listing. Ask yourself this: what puts the “luxury” into your real estate? Make a list to share with your real estate agent or virtual tour professional. These are the features you’ll want to highlight in your virtual tour while filming. When it comes to putting together a virtual tour of your real estate, quality is essential. It doesn’t matter how well you stage your home if the virtual presentation is poorly executed. Amateur technology or filming will fail to make your property shine. If you have little to no experience in creating virtual tours, avoid the do-it-yourself approach. Instead, hire a professional to come in and film it for you. While cost can vary from one vendor to the next, the average cost for virtual tour filming and editing is roughly $350. Professional real estate agents typically have contacts for this kind of service and can either set it up for you or provide you with the necessary information to arrange it yourself. 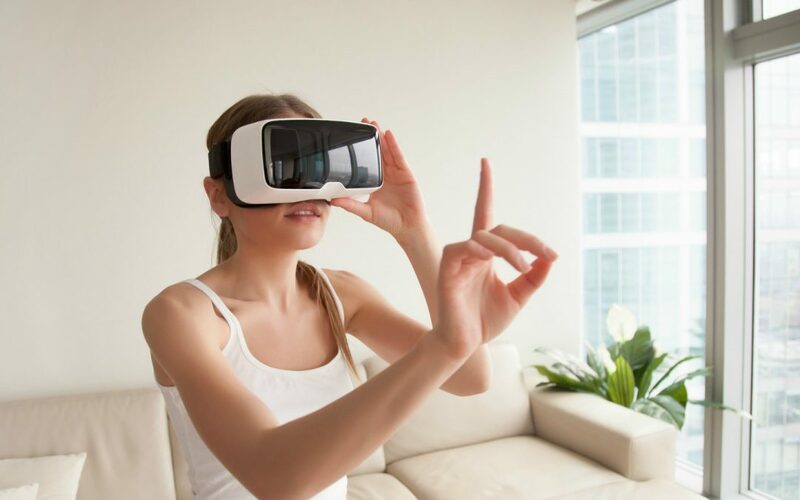 The last step in optimizing your real estate listing success with virtual real estate tours is to make sure buyers can find it. This includes digital marketing efforts such as creating online listings, syndicating them through social media and blogs, and making sure the listing description is well-written and attractive. Many real estate agents also utilize direct mail marketing in order to help promote open houses and other marketing tactics to get your property in front of the eyes of its target buyers. Are You Preparing to Sell Your Luxury Home? It takes more than a great real estate virtual tour to sell your home. If you’re putting your luxury real estate back on the market in the Sarasota, Bradenton, or Longboat Key area, let me help you close the deal at a price you deserve. Fill out my online home valuation request form to get a custom quote for your property’s market value.